Connect Ubookr & Xero for a total business solution. Forgot password? Click here.Don’t have an account? Sign up. Send us a message and we'll get back to as soon as possible. For an even faster response you can use Live Chat at the bottom of the page. 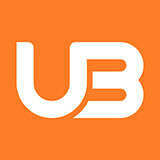 Ubookr gives your customers a better way to book and gives you brilliant calendar and staff management. Accept bookings - anytime, anywhere. Ubookr further improves your business workflow by integrating with Xero - beautiful accounting software. Connect these apps today to see a noticeable difference in time spent on accounts. Invoices are automatically emailed to your customers. Ubookr & Xero working together. Watch a quick video on integrating Ubookr with Xero - the online accounting system. Your bank statements are automatically imported and categorised, letting you see your cashflow in realtime. Login to your Ubookr dashboard and go to Setup > Invoicing follow the simple steps to connect to Xero - and you're flying! Save hours on admin each week. Already using Ubookr? Sign in. 30 days free - no strings attached. No credit card required.